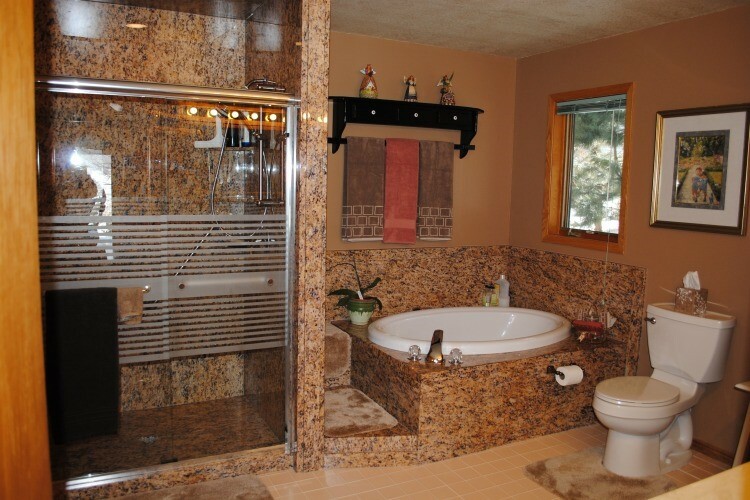 For great looking bathrooms, homeowners in the Triangle area are fortunate to have a local, experienced bathroom remodeling company such as Luxury Bath of Raleigh to be dedicated to their upcoming remodel. We’ve been in the business of Raleigh bathroom renovations for many years, helping people to transform their bathrooms with a distinct focus on design, functionality, and innovation. We proudly provide high-quality bathroom renovation services that can create a lifestyle space that goes above and beyond your expectations. 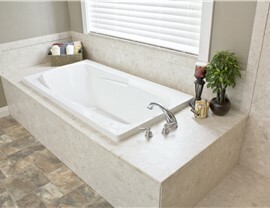 Trust in our Raleigh bathroom renovators to create the perfect custom solution to fit your needs, budget, and household. 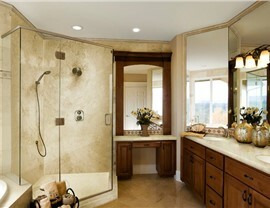 Your bathroom not only has to look luxurious and appealing but it also needs to be functional. This is precisely why we use only the highest quality, non-porous acrylic in our Raleigh bathroom renovations. 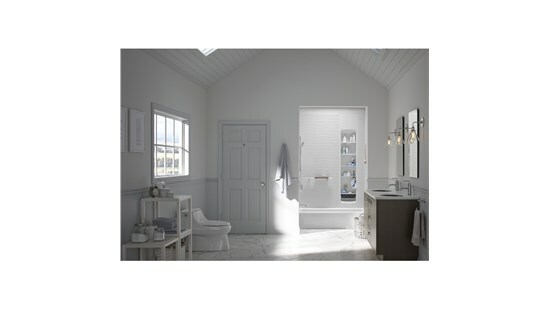 You can wave goodbye to mildew, mold and soap scum! 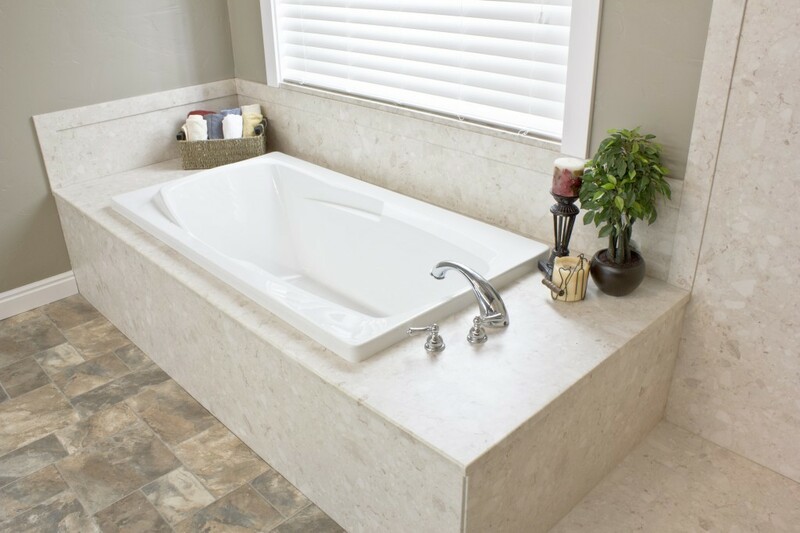 Whether you’re looking to update your bathroom, create a relaxing spa feel, or improve the safety and accessibility of your shower or tub, we have the products and the necessary experience to help. If you're ready to get started on your upcoming Raleigh bathroom renovation, call Luxury Bath of Raleigh today to speak with a design specialists. You can also fill out our online form to request your free, in-home consultation. Check out what our customers have to say about us! 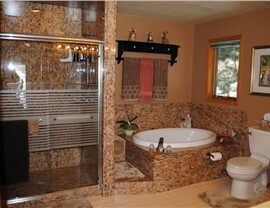 Thinking about getting your bathroom remodeled soon? Read up on what to expect! High-gloss, durable acrylic is unbelievably easy to clean with just a simple spray cleaner and wet cloth!